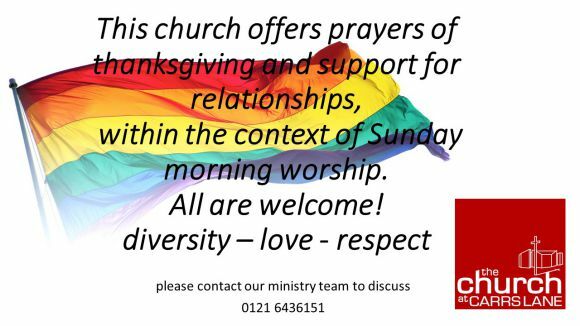 The church prayer list helps people to be disciplined in the exercise of this ministry, and cards are sent to those for whom we pray at the Wednesday service. If you wish to request prayers for your concerns, we would be pleased to receive them. 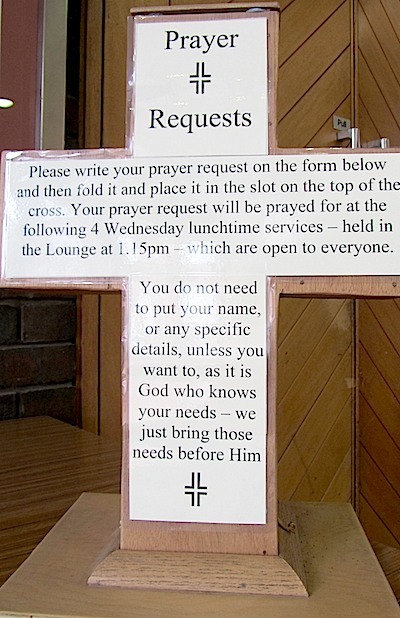 You can leave your request in the ‘cross’ shaped box, which is in the main foyer of the church. Prayer in the city, for the city, is also offered daily by members of the Carrs Lane Lived Community.